Stollen is a fruit bread of nuts, spices, and dried or candied fruit, coated with powdered sugar or icing sugar. 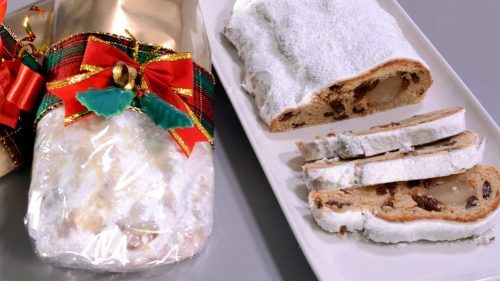 It is a traditional German bread eaten during the Christmas season, when it is called Weihnachtsstollen or Christstollen. This is my recipe for Stollen which I have used for years. 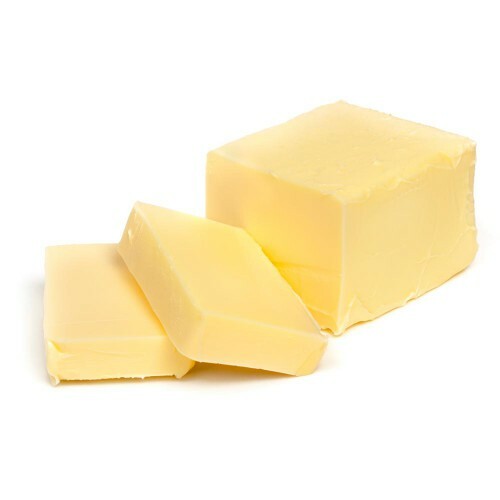 D 1000	 35.2 ounces Butter Butter is a solid dairy product made by churning fresh or fermented cream or milk, to separate the butterfat from the buttermilk. 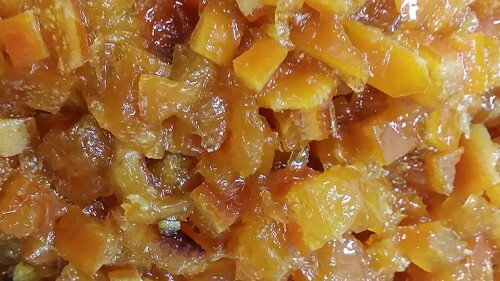 It is generally used as a spread on plain or toasted bread products and a condiment on cooked vegetables, as well as in cooking, such as baking, sauce making, and pan frying. 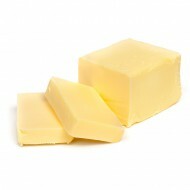 Butter consists of butterfat, milk proteins and water. 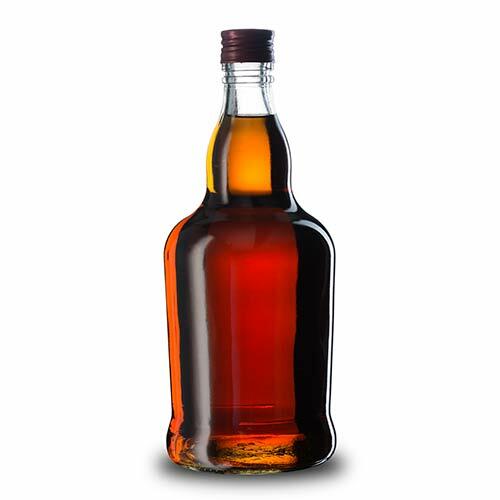 E 200	 7 ounces Sugar Sugar is the generalized name for sweet, short-chain, soluble carbohydrates, many of which are used in food. 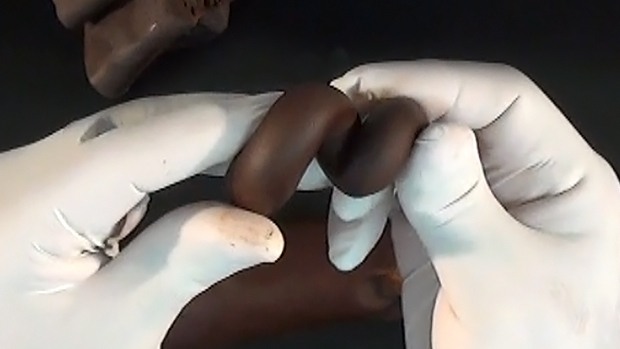 They are carbohydrates, composed of carbon, hydrogen, and oxygen. 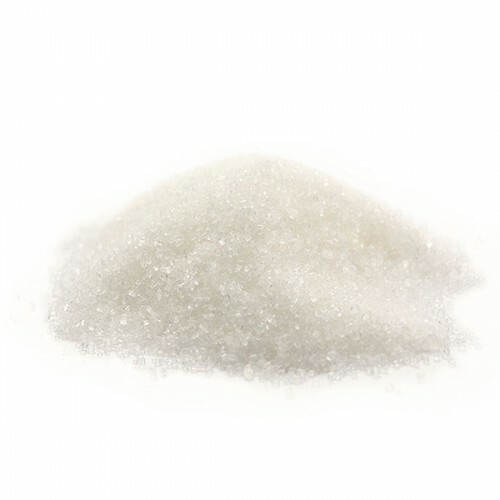 There are various types of sugar derived from different sources. Simple sugars are called monosaccharides and include glucose (also known as dextrose), fructose and galactose. 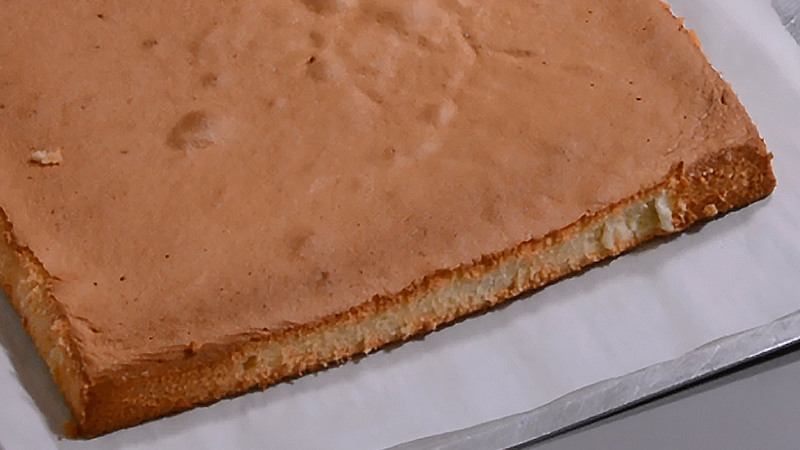 The table or granulated sugar most customarily used as food is sucrose, a disaccharide. (In the body, sucrose hydrolyses into fructose and glucose.) Other disaccharides include maltose and lactose. Longer chains of sugars are called oligosaccharides. 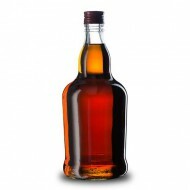 Chemically-different substances may also have a sweet taste, but are not classified as sugars. Some are used as lower-calorie food substitutes for sugar described as artificial sweeteners. 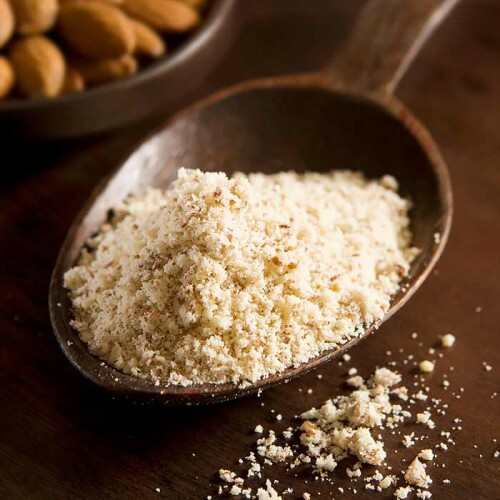 F 800	 28.2 ounces Almond Meal Almond meal, almond flour or ground almond is made from ground sweet almonds. Almond flour is usually made with blanched almonds (no skin), whereas almond meal can be made both with whole or blanched almonds. The consistency is more like corn meal than wheat flour. H 25	 5 teaspoons Salt Common salt is a mineral composed primarily of sodium chloride (NaCl), a chemical compound belonging to the larger class of salts; salt in its natural form as a crystalline mineral is known as rock salt or halite. 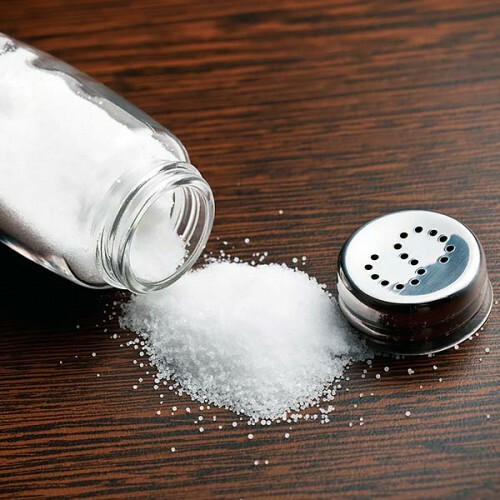 Salt is present in vast quantities in seawater, where it is the main mineral constituent; the open ocean has about 35 grams (1.2 oz) of solids per litre, a salinity of 3.5%. Salt is essential for animal life, and saltiness is one of the basic human tastes. Salt is one of the oldest and most ubiquitous of food seasonings, and salting is an important method of food preservation. I 200	 7 ounces Whole Egg Eggs are one of the most common ingredients in a typical cake. 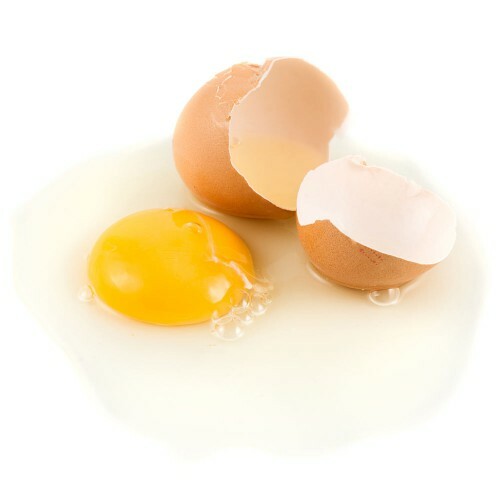 Egg yolks and whole eggs store significant amounts of protein and choline, and are widely used in baking. 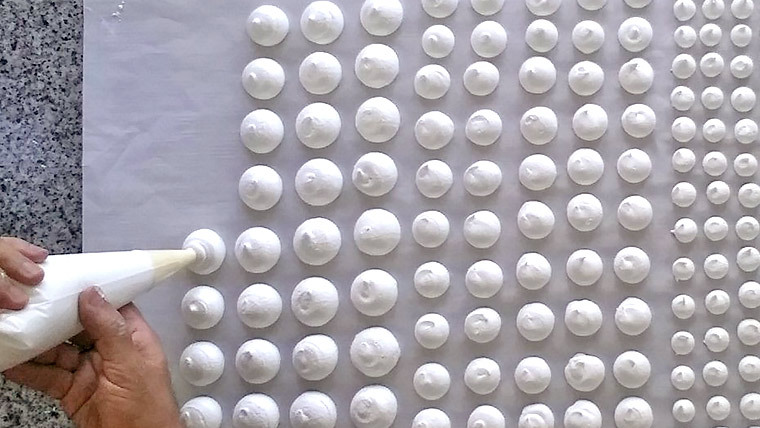 Usually an eggs role in a cake is to add moisture and richness, act as a raising agent as well as a glue to bind the ingredients together. J 1700	 59.8 ounces Raisins A raisin is a dried grape. 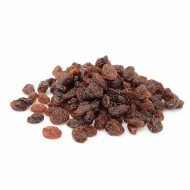 Raisins are produced in many regions of the world and may be eaten raw or used in cooking, baking and brewing. In the United Kingdom, Ireland, New Zealand and Australia the word "raisin" is reserved for the dark-coloured dried large grape, with "sultana" being a golden-coloured dried grape, and "currant" being a dried small Black Corinth seedless grape. 20	 Bake	 Till finish	 Total 30 minutes approx. After Baking immediatly brush one more time Clarified butter on the top and rub with icing sugar. nex morning dust some more icing sugar before wrapping. Wrap individualy with Cling Wrap If gift packing needed. J’en ai fait 6 j’ai suivi la recette le lendemain je l’ai offert, il est bon mais un peu sec, est ce que c’est normal. But there’s something wrong with the weight of the ingredients – At the top it says 7500g (12 * 625), at the bottom it’s 10725g but if I add all up the ingredients I get 9025g. I am making this for Christmas this year. How long do they keep? Can they be frozen without too much degrading?